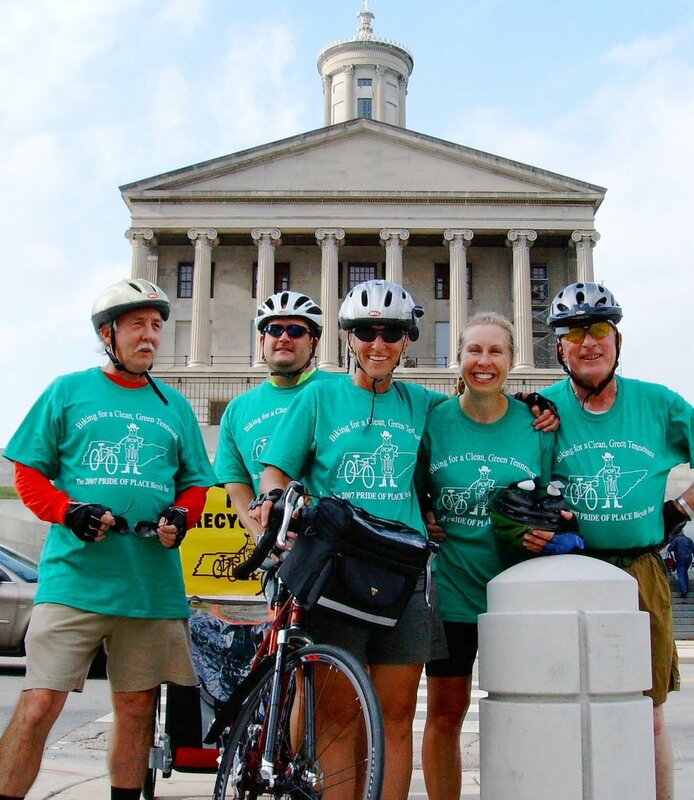 Supporters of a Tennessee beverage container deposit gathr in front of the State Capitol in Nashville during the 2007 statewide Cycling for Recycling bottle-bill bicycle tour. From left: Richard Connors, Richard Cochran, Marge Davis, Kim Sparks and David Irvine. Get an e-mail alert (or a phone call if the issue is especially urgent) when a matter needs quick citizen action. You can choose the topics that interest you, and you may opt out at any time. P.S. We will never, ever sell your information. Heaven forbid.